Ever been caught doing you-know-what by the kids? Me neither, but plenty of parents have according to a poll by Channel Mum, who asked 2,000 mums and dads what they said when caught in a compromising position by their kids. The thing is, what do you say? ‘I told her I was jumping on daddy’s belly’, ‘it’s a game adults play when trying to get to sleep’ and ‘we were tickling each other’ were among the sexcuses (LOVE that word!) revealed in the poll, which I won’t deny had me snorting with laughter. ‘Daddy was keeping me warm’, ‘we were playing bouncy castles’ and ‘we were trying to lift something heavy’ were among other gems. 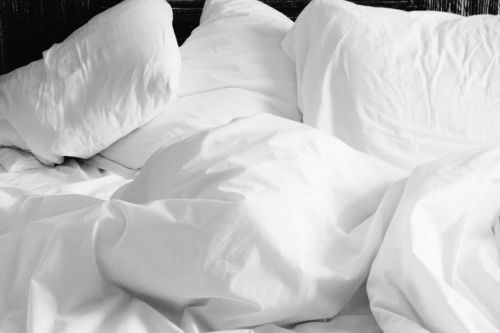 Apparently being caught in the act has happened to one in five couples, so if you are ever caught doing you-know-what by the kids here’s the top 10 most common sexcuses according to Channel Mum’s poll. I simply couldn’t resist asking some fellow bloggers if they’ve ever been caught doing you-know-what and the response was unusually muted (I smell a rat!) but a few brave souls came forward. 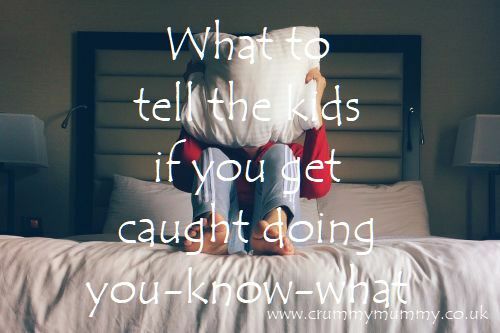 Have you ever been caught doing you-know-what by the kids? What did you say? Do tell! Is it possible to babyproof a marriage? What a nightmare and what hilarious responses!